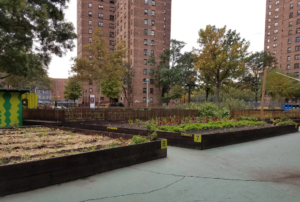 From VICE: “Community gardens grow things that are frequently absent in urban landscapes. Nature itself, as Jackson points out and as dozens of researchers have chronicled, is a tonic for our minds. But the gardens also make for a few extra square feet in the city where people can come together. And this second part—the confluence of our built environments and human connection—is where many urban planners and architects are now looking to solve what has become a pervasive and persistent problem around the world and here in New York City: loneliness. Scientists are developing a pill for loneliness. Wouldn’t it be great if we can mistreat people and they wouldn’t mind? That’s the ultimate pill – to make people willing to accept whatever crappy treatment those in charge want to dole out without complaint. Our competitive culture is also designed for loneliness. Yep, late-stage capitalism plays a huge roll here. The competitive rush to stay afloat makes every person a potential competitor and crappy, low-paying jobs take up lots of time that could be spent doing more useful and healthier stuff. Ubiquitous internet use and the way Facebook, Google et al. use their platforms to manipulate us psychologically also serve to isolate and alienate people from one other. Our society is in serious trouble on multiple levels as demonstrated by, among other factors, the rise of dysfunctional politics and citizens abandoning reason and logic as decision making and reality evaluating tools. It will be a tough slog recovering from this sad state of affairs. You express It much better than I could.